It was a hell of a fight as Nigerian born British boxer, Anthony Joshua defeated 41 year old veteran, Wladimir Klitschko in the 11th round of one of the greatest boxing bout in recent times. 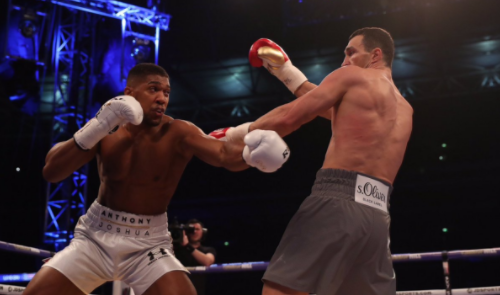 Joshua won the fight in the 11th round with a vicious uppercut that put his opponent on the floor, followed by a right cross. A brutal left hook knocked Wladimir down a second time then a crisp combo finished the old warrior in the corner and Klitschko went out on his shield. 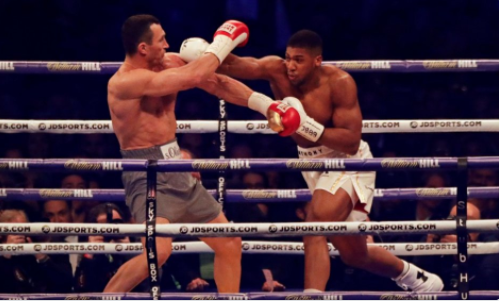 0 Response to "Anthony Joshua vs Wladimir Klitschko: follow live updates round by round"